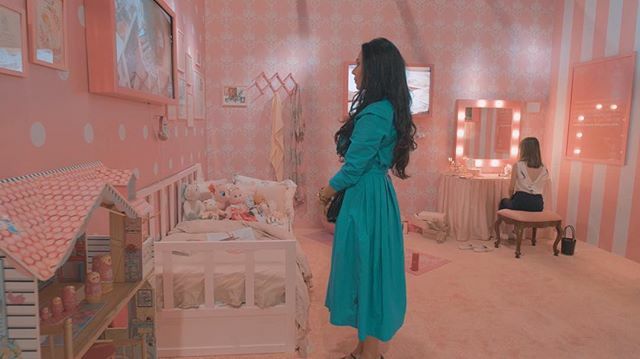 Two years after the loss of her mother, Dubai artist and entrepreneur Leila al Marashi, 35, has found a way of building on her experience in a creative way, through “The Power of Pink” project. 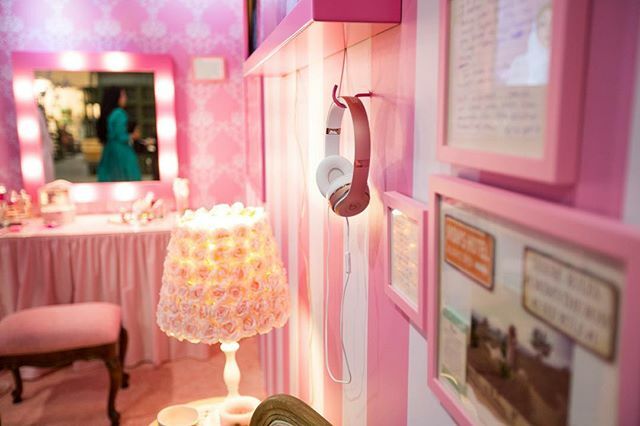 Her Pink Room is an art installation dedicated to raising awareness about breast cancer in the UAE. 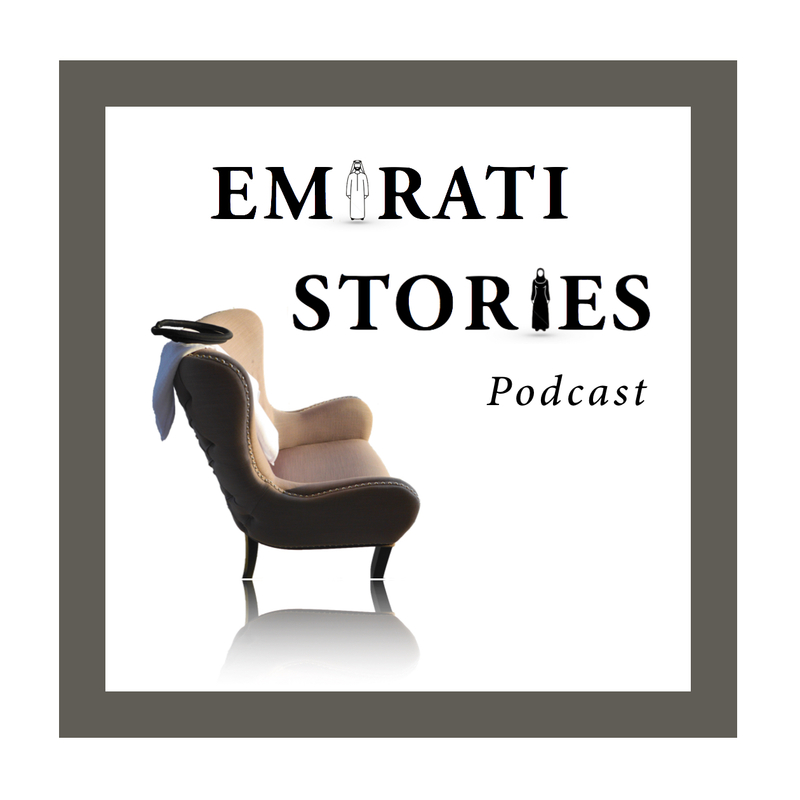 This episode is about the colour pink throughout an Emirati woman’s life, the story of Leila’s mother and father and how they met; her grandparents, breast cancer, mom and daughter relationships, mixing international icons with Emirati features on pop-art pictures, different corporate cultures between Dubai and Abu Dhabi. The 2nd wall features the 2nd decade of my life, which meant going through puberty and becoming a woman. Or I like to call this wall the glory years, your prime. If you look at sanitary napkins for puberty, they are all pink. You’re most likely to have had your first pink bra. And this is the age when you are quite confused because you’re growing fast physically but your brain is still that of a young girl and you’re trying to catch up with the world, to understand if you’re good looking or not, how you’re doing in school, how you are benchmarked against your peers. Yes. The Estée Lauder1 campaign in the 80s initially wanted it to be peach and then they chose pink because pink gives you hope. And I think it gives hope. I think my messages are hopeful messages. 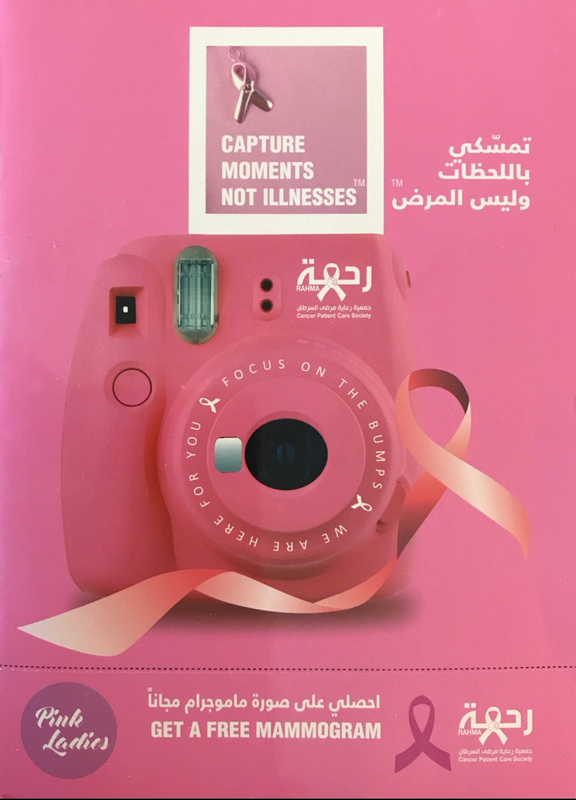 So this wall invites cancer partners to be involved – in this case it was Rahma, which is a cancer institute in Abu Dhabi that provides free care, free mammograms, free therapy and what they are doing is amazing.